What is Slack and how do I use it? Slack is a collaboration hub for teams. 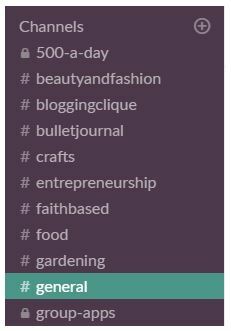 At Billionaire Blog Club we use Slack as a Communication tool. When you have pressing questions that you’re looking for a quick response to, Slack is the place to ask them. When you join Billionaire Blog Club, you’ll receive an email from Slack with an invitation from Scrivs to join Slack. Click that green button in your email and get started. You’ll create a Name and Password, accept terms & conditions and you’ll be greeted by Slackbot who will help you explore Slack. 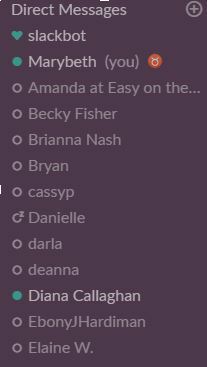 A quick note about your Slack name, currently, most people just use their first name. Some use their first name and also their blog name. It’s totally up to you. 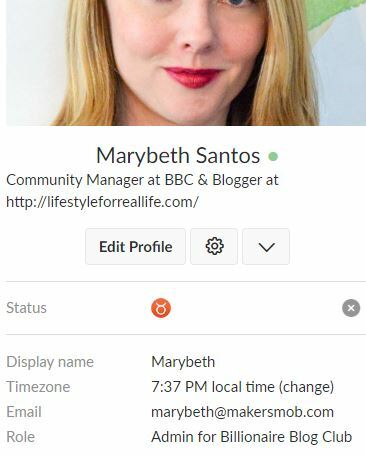 Be forewarned, Slack does allow the same name to be used by multiple people, so if your name is Briana or Laura you will want to have a profile picture that helps differentiate you from the other 65 Briana’s (that’s almost not an exaggeration). Access your profile settings by clicking on the avatar that is next to your name in a channel. Scroll through the Settings tab and check them out. 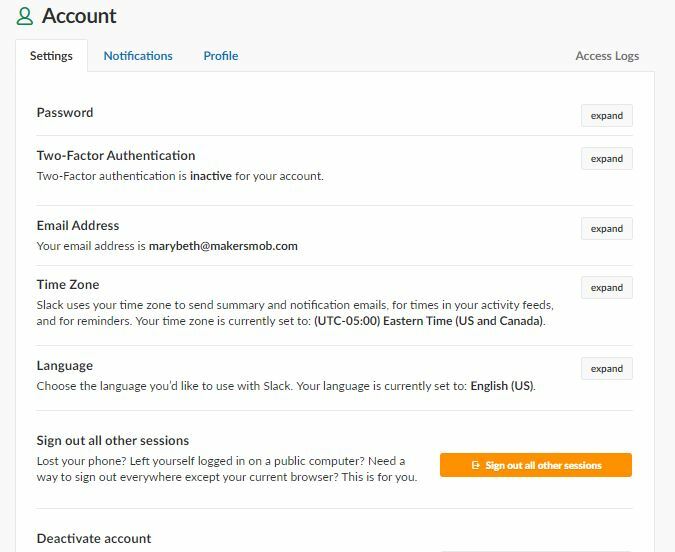 In Settings you can change your password, your email address and update your timezone and other settings. Under the Notifications tab, you can select which types of messages you want alerts for and how you would like Slack to notify you of new messages. These are audio notifications, and not the visual notifications that Slack also provides, which you’ll see in a moment. When you are filling out your profile, I recommend including the url to your website in the “what I do section” so that other members can peek at your awesome blog. 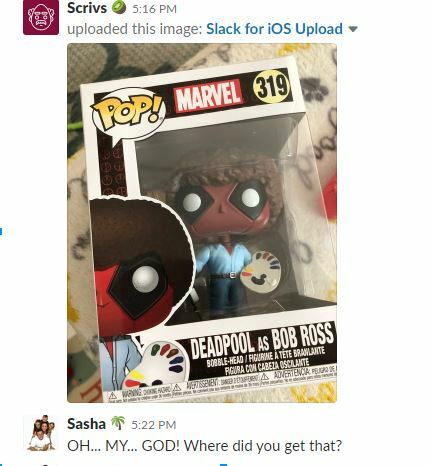 Slack visually notifies you of new messages in a channel, messages you are tagged in and direct messages to you. These highlighted “pinterest” and “random” channels tell me that there are messages posted there that I have not read yet. That red number one next to Rachel’s name tells me that Rachel W has sent me a direct message. I can click on her name and see what she has to say. Direct messages are private and can only be seen by the people included in the direct message. When you join Slack, jump in the introduction channel and say hi! Let us know what you’re blogging about and how far along you are in the process. Introduction: Your first stop as a newbie! Once you’ve introduced yourself, keep an eye on that channel to light up and welcome the other newbies! General: Anything goes, ask questions, answer questions, let us know a cool blogging tip or trick you discovered. Pinterest: Any and all Pinterest related questions. And/or comments. And/or whining related to Pinterest. Monetizing: Mediavine, products, affiliate sales, get your burning questions answered in the monetizing channel. You never really know exactly what will pop up in Random. SEO: Alt tags, keywords and SEMrush, oh my! Wins: And, best for last, visit the Wins channel often for inspiration and to post your own wins, too! Sometimes we have big wins like, “I got into Mediavine!”. Or, “I got a book deal!” (not an exaggeration, we just had that win recently). But we also love wins like, “Just got my first 100 pageviews!” This is the heart of Slack. You won’t believe how these people are really cheering for you and happy for your successes. To join additional channels, click the Channels heading in the left sidebar and scroll through to find Channels that apply to you. If you blog on one topic, you may find just one additional Channel to join. If you blog on multiple topics, you may want to join a few. These channels are mostly based on niche, so this is where you can commiserate with fellow bloggers in your niche. Ask for contributors to a round up post, let them know that you’ve discovered a great new tool that might help, give a heads up on a post topic that is doing really well for you. This is one of the places in BBC where collaboration happens. 500-a-day - There is an ongoing challenge in BBC to help develop the habit of writing every day. Members of this channel have challenged themselves to write 500 Words a Day and then head into the 500-a-day channel to report their success. This is a great group! Group-Apps - Applying to group boards is one of the most tedious processes of blogging. In Group-apps you can split the misery among fellow BBC’ers and share any tips or any great group boards you may have gotten in to. To post something in a channel to be answered by anyone and everyone, click that channel and type your question in the text box. If there’s someone specific you would like to notify of your question/comment, you can use their tag @whatevertheirusernameis and they will get a notification that you have done so. To message one (or more) people directly and privately, you can send a direct message. To do this you can click on Direct Message in the left sidebar and search for the person you are looking for. 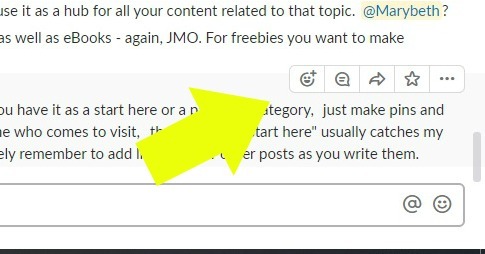 If you hover over a message in Slack, you will see several options for interacting with that message. Start a thread - Will create a thread with follow up responses in the thread. We don’t typically use this option in Slack. Usually we reply to a message with a new message and tag the original sender. Share a Message - Allows you to send a message to another channel with a note. This is another option that is not typically used in BBC Slack. Copy link: Allows you to copy a link to a message. This is useful if you want to direct someone else to a particular message, or you can direct message the link to yourself if you want to be able to access it later. Mark unread: Marks the message as unread. In case that wasn’t clear. Remind me about this: Slackbot will remind you about a message at a later time of your choosing. This is an excellent feature. 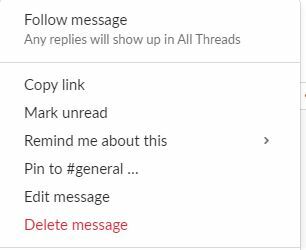 Pin to #general(or whatever channel you are in): This is a feature not typically used in BBC Slack. It will pin that particular message in the channel so that everyone sees it. Edit message: This is not shown, but if you are hovering on your message you will have the option to edit it. Delete message: In case you have any last minute regrets. Slack moves FAST. Don’t try to catch up. Don’t feel bad if you think you’re asking a question that’s probably been asked a million times. You probably are and that’s ok. It’s how Slack works. No one sees everything, so if you’re asking it, someone else is wondering it, regardless of how many times it’s been asked and answered before. Check out some of the functions that Slackbot has when you have a spare moment. My favorite is the reminder feature. You can set up a reminder on a particular message if it’s something you want to take action on later. You can star messages so that you can easily refer back to them if needed. Emojis! We love emojis on Slack. You can use an Emoji to react to a message and you can add an emoji to your profile by going to your name in the upper left corner, set a status and then search the emojis for one that suits you. Wow, there is a lot of stuff in Dare to Conquer. Where should I start?